I come from a long line of cake lovers. And my mum was an amazing cake maker – every year, I used to get to choose a most incredible cake, which my mum would whip up the night before my birthday. I would go to bed hearing the sound of the mixer and in the morning, I would sneak into the dining room where the masterpiece would be sitting on the table. Under a barrier to keep it from me (and my brothers), of course. Last year, for my niece’s birthday, my sister-in-law went with a farmyard theme. 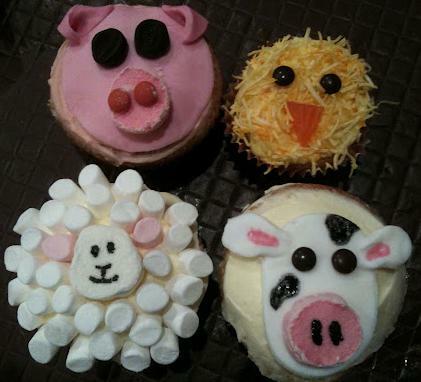 We made these cupcakes – I was in charge of the chickens and the sheeps. A lot of marshmallows were needed in order to make a sheep face that didn’t look like he was going to attack the other animals (or the kids at the party). We were pretty pleased with our efforts. And, voila. I’m not sure that I would have ever even thought to request a Burmese python cake. Kids these days. I’m not sure what inspired Francesca’s daughter to ask for it, but it has brought her mum fame across the internet. And presumably scared the life out of many of the party guests. The detail is just incredible, as is the colouring. Francesca is clearly an amazingly talented lady – I hope her daughter appreciates this cake as much as I appreciated my swimming pool cake. At this point, I should add some detail about my cake – my mum had even put little plastic people kicking back in Life Saver lollies in the pool. And green coloured coconut around the outside, as grass. I’m just sayin’. And finally, in what is probably not a faithful representation of the Burmese python, an inside full of delicious cake, jam and cream. Now, if there was a touch of red food colouring or jam that squirted out when the first cut was made, this cake would have been perfect. Almost as good as my mum’s swimming pool cake, I reckon. You can read the Huffington Post article about Francesca’s cake here and the North Star Cakes Facebook page is here. Neither my sister-in-law nor my mum have a cake business Facebook page or a website, but I will check for some photos of my mum’s early work when I’m next at home and maybe Jane’s cakes will finally get the global recognition that she deserves! 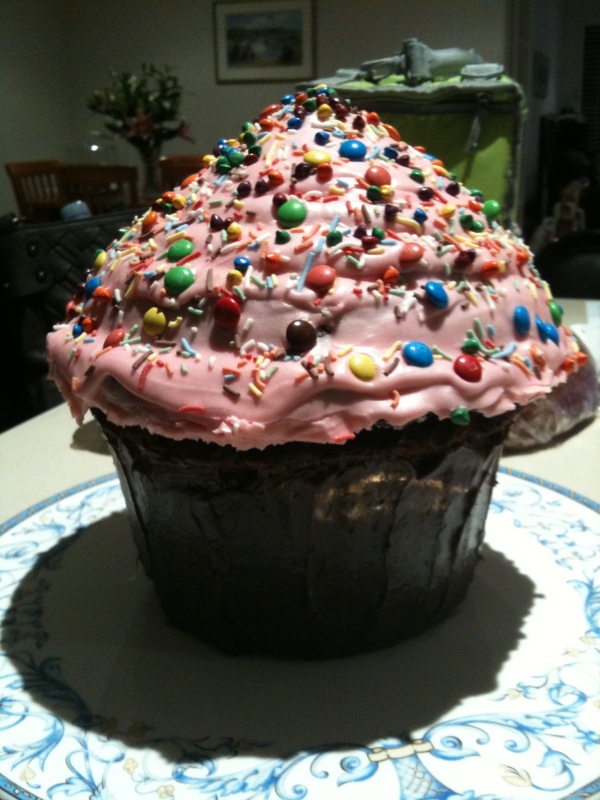 I much prefer your mums cake “Just Sayin'”…. I have been asked to get the women’s weekly cakes out for my neice, she wants the doll one where the cake makes the dress…… and yes she will be turning 21! That snake cake is amazing. Truly is. But I feel a bit squeamish at how life-like it is. Ewww…. I don’t like the snakes! Also, how lucky would a Baby Buppa be? They’d get the best cakes for their birthday!